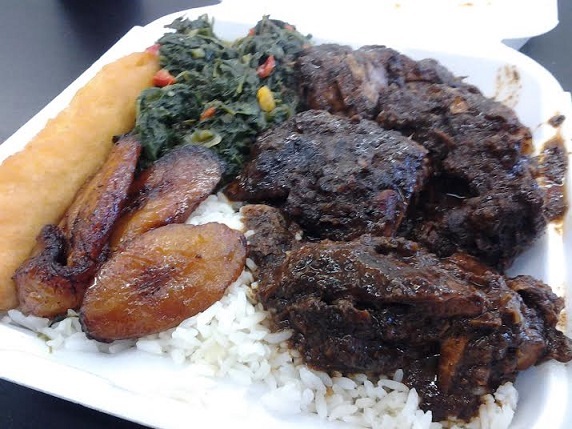 * Update, April 2014: I went in for lunch and had jerk chicken ($9.50, below), which came with rice, spinach, plantains and fried bread, plus a ginger beer ($1.75). The chicken was spicy! Tasty — I ate it all — but too spicy for me; probably just right or not spicy enough for you. It’s an interesting environment: There’s a refrigerated case with regular drinks as well as pineapple and grape sodas, peanut soda (!) 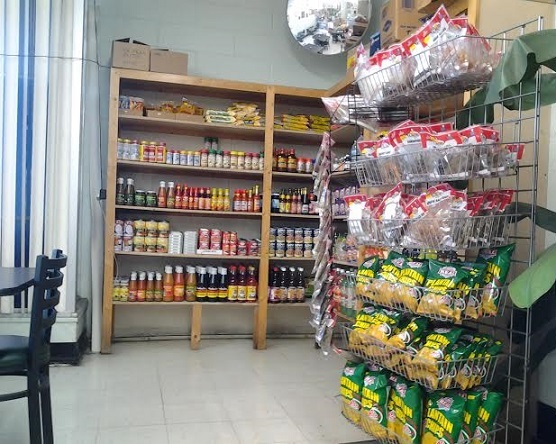 and others; a rack of bagged plantain chip snacks; shelves of rice, curry powder, jerk marinade and more; and a retail corner with some Jamaican goods, posters, diet pills and skateboards. 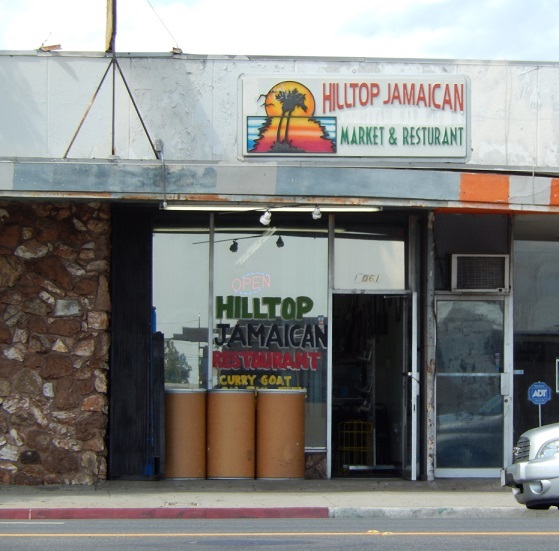 This entry was posted in Restaurants: Pomona and tagged Jamaican, Pomona, restaurants by David Allen. Bookmark the permalink. I was at a small party that catered their food… it was delicious! My husband is Jamaican and this is where we go weekly for the most authentic Jamaican food around, short of my mother-in-law’s house. They have catered many parties for me for my work and family events. I heartily recommend Hilltop. Always fresh, delicious and authentic.